Have you ever thought what a pirate does in a day? 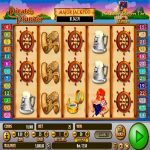 Well, now you can find out with the latest video slot game Pirate Plunder from Amaya. Captain Blackbeard will show your way as you are heading to the high seas to find some treasures. The design of the game is really nice with the purple color being dominant. The sound effects perfectly match the theme in every way possible. 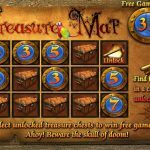 The only symbol that you would really love to see here in Pirate Plunder is the treasure chest full with gold since it is the key to the jackpot. You need to land 5 symbols on an active pay line to win the progressive jackpot. In order to win the whole amount you need to pay with the highest stake per line. But even if you do not, you can still earn some percentage of the amount. With $0.10 bets you will earn 2%, with $0.20 you will earn 4%, with $0.30 you will earn 6%, for $0.50 you will earn 10%, for $0.75 you will earn 15%, for $1 you will earn 20%, for $1.50 you will earn 30%, for $2 you will earn 40%, for $3 you will earn 60%, for $4 you will earn 80% and for $5 you will earn the whole amount you can see above the reels. 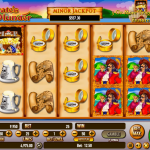 Pirate Plunder is a progressive jackpot video slot game from Amaya that we gladly play whenever we can with high hopes. The slot is spectacular thanks to the beautiful design and engaging game play. The thing that attracts us the most is the fact that we can win the high amount that is increasing with every bet we place. For that reason we advise you to try it out and maybe you will be the one who will earn it. For another great game recommendation you should consider playing Monkey Love a 5 reel slot by Amaya.